China's Economy: Seizure or Cancer? The sharp slowdown in China’s economy has policy makers around the world watching carefully. Will the government have the courage to change course? The unexpectedly sharp slowdown of the Chinese economy has fanned anxieties around the world. Based on the latest figures released by the Chinese government, the economy slowed more than expected in the first quarter of this year compared with the fourth quarter of last year. Is the once unstoppable Chinese economic growth engine grinding to a halt? For the West, deteriorating growth in China is obviously bad news. With Europe sinking into recession and the United States mired in an anemic recovery, growth in emerging markets, China in particular, has been a bright spot in an otherwise bleak economic landscape. As the world’s second-largest economy, annual growth at high single digit (8 percent to 9 percent) makes China the largest contributor to global GDP growth. Now that China is faltering, many worry not only about the effects of China’s stagnant growth on the rest of the world, but also about its impact on China itself. On the surface, the recent precipitous drop in growth in China is the result of two factors. The first is the tightening of monetary policy adopted last year to cool the real estate market and fight inflation. The second is the rapid decline of export orders for Chinese goods, a development closely associated with the escalating debt crisis in Europe. Had the Chinese economy been more balanced between domestic demand and exports and between household consumption and investment, monetary tightening and falling exports would not have had such dampening effects on growth. But the Chinese economy is highly unbalanced (although compared with a few years ago, China’s internal-external imbalances have moderated significantly), thus making the country less able to cope with the knock-on effects of credit-tightening and disappearing external demands. In the short-term, most analysts are worried about a possible “heart attack” for the Chinese economy. 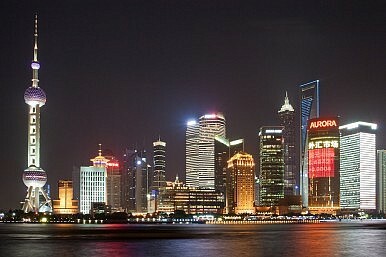 Under this nightmarish scenario, plunging growth will expose China’s highly leveraged local governments, real estate developers and state-owned enterprises to the risks of insolvency and default while China’s export sector, dominated by foreign companies and domestic small and medium-sized private firms, contracts and lays off workers. The nasty feed-back loop looks like this: falling growth will greatly reduce the financial viability of the projects in which China has overinvested in the last three years. Such projects include real estate developments, heavy industries, and infrastructure (the most infamous example being the scandal-ridden high-speed rail system). Falling growth means lower demand. These projects won’t be able to charge higher enough prices to make a profit. Because they were financed with bank debt, it’s almost certain many of these projects will default. In most other countries, such a crash would lead to a banking crisis, hence the “heart attack” scenario. But China is different. Because the banking system is effectively owned and controlled by the state, a banking crisis won’t materialize unless the state itself is insolvent and Chinese depositors have completely lost confidence in the state’s sovereign guarantee of its banks. This unique character of the China’s state-owned financial system is the cause of the country’s inability to allocate capital efficiently. However, in the short term, this structural flaw may turn out to be an asset in averting a seizure of the financial system. The Chinese government has already taken measures to prevent such a seizure. Last year, Beijing ordered a one-year moratorium on repayment of loans made to local governments and their highly leveraged financing platforms, thus delaying the day of reckoning. As the economy continues to struggle, one should expect the Chinese government to extend this moratorium to give local governments more time.